The new Google Sites is here! Well, sort of. 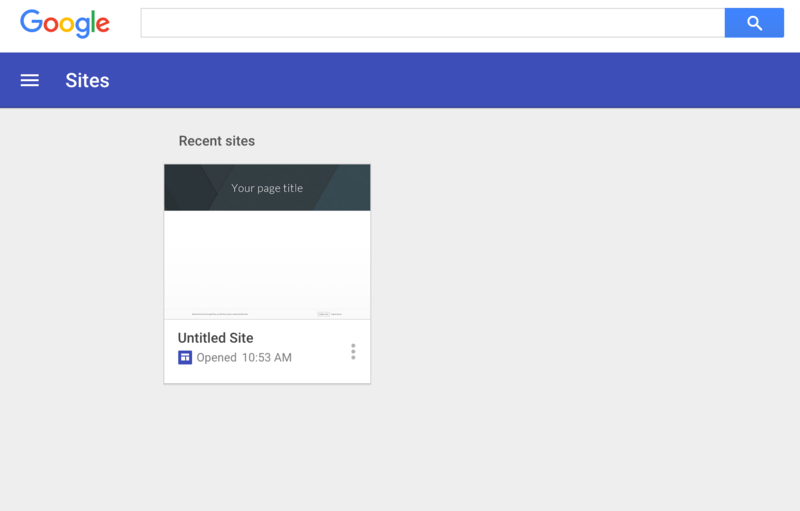 For those that administrate their Google Apps for Education accounts, or have their own Google Apps Domain, you now have access to the Early Adopter Program, where you can request access to the brand new version of Google Sites before it’s general release. Why am I so excited about a brand new technology tool? Is it the shiny, new code smell? Nope, I’m just looking for an excuse to play around with the new tools, and while Google typically does a good job with their support sites, I’ve often found there are specific use cases where people want to know exactly which of their existing workflows will and won’t work when transitioning to a new set of tools for their favorite platform. That, and the old Google Sites was a relic of the late 90s/early 2000s design and UI school of thought, so something fresh to interact with is a welcome site. So, any requests on tutorials? Something you’d like to see, figure out, or questions you want answered? I’m game for making a few tutorials this week as I work on some end of year reports and need a few cognitive breaks to do some good old fashioned video tutorials. I would love to see examples of a teacher page and a student Portfolio. I think those are the two most common use cases in education. I would also love to see how the new sites can be used as a student ePortfolio. How to embed a calendar that is not your personal/professional Google calendar. Can parents/students/staff schedule meetings on that calendar? Examples of how it can be used as a presentation tool for student work or continuous newsletter for class/grade/school club or collaboration space for global projects. Regina, I would also like to see if there are any new features in Google that can enhance students capability to present their Google Slide presentation. I have taught my 4th grade students to use Google Slides to present their Native American tribe. Now that I have been exposed to Seesaw, I was wondering if Google has anything new that is similar to it. Any suggestions?